The L&T Constructions presented concepts for the construction of a bridge across the Krishna river connecting Mulapadu and Amaravati here on Wednesday. The company representatives presented to Chief Minister N. Chandrababu Naidu six concepts for a bridge of a length of 3.8 km which includes a 1.2-km stretch suspension bridge. The first is the Namaste concept in which the suspension towers would be in the shape of the two palms joining in namaste. The second is the Kuchipudi Concept in which the suspension arches would be similar to the contours of a Kuchipudi dancer striking a pose. In the third concept, the suspension pylons would be like the hand of dancer displaying the ‘Arala Mudra’ and in the fourth, the pylons would be in the shape of hands in the Buddhist Vitarka Mudra. 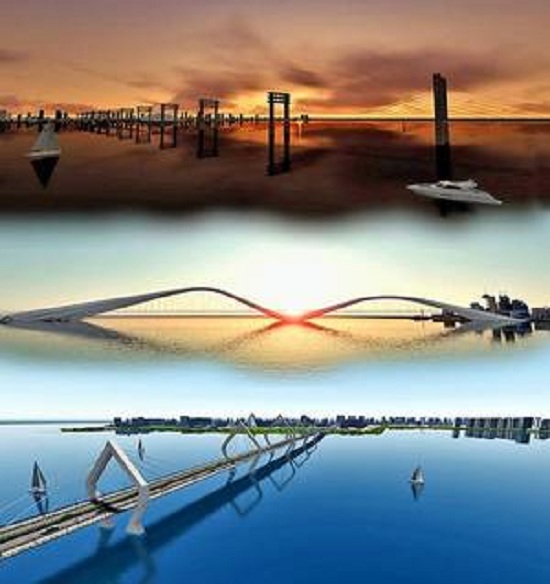 The fourth concept is a double-decker bridge with separate decks for vehicles and pedestrians. Space has been shown on this bridge for events, cycling and eateries. In the fifth concept, the suspension towers are like the toranas, entrances to the stupa. There will be 13 towers representing all the 13 districts of the State. In the last concept, the designs of Kondapalli Toys have been used for the pylons and towers of the bridge. The Chief Minister showed more interest in the double-decker concept, sources said.